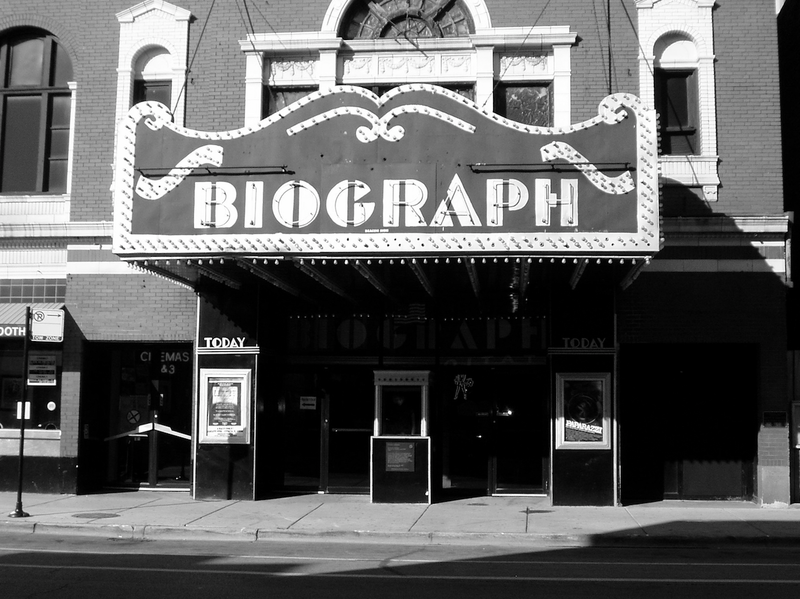 John Dillinger Lives – Not the flesh-and-blood gangster, of course, but his ghost, who has been seen outside the place where Dillinger drew his last breath—the Biograph Theater on North Lincoln Avenue. 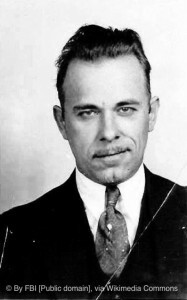 By the time Dillinger was gunned down by FBI agents on July 22, 1934, he had become Public Enemy No. 1, his notorious exploits ballyhooed in newspapers across the country on an almost daily basis. While much of the American public viewed Dillinger as something of a modern-day Robin Hood, FBI director J. Edgar Hoover had issued a “shoot to kill” order on the gangster as well as a $10,000 reward. Each of the five states in which Dillinger and his gang had robbed banks also offered $10,000 rewards. In July 1934, Chicago police detective Martin Zarkovich approached Melvin Purvis, director of the Chicago office of the FBI and told him that he could deliver Dillinger. Zarkovich had a friend named Anna Sage, a whorehouse madam who was facing deportation to her native Romania, who he said could set up Dillinger if the FBI would halt her deportation proceedings. The deal was struck. The evening of July 22 was a warm one. John Dillinger wore a lightweight coat with a white shirt, gray pants, canvas shoes, and his usual straw boater as he entered the Biograph Theater with his most recent girlfriend, Polly Hamilton Keele. Anna Sage, who wore a brilliant orange dress, accompanied the couple. The banner hanging below the Biograph’s illuminated marquee advertised that the theater was “cooled by refrigeration” so that its patrons could watch Manhattan Melodrama, starring Clark Gable, William Powell, and Myrna Loy, in comfort. While the movie played, Purvis positioned his men in the streets outside the theater. He was nervous, chain-smoking cigarettes as he waited for the theatergoers to exit. At about 10:30, the house lights came up and the theater began to empty. As the crowd filed out, Purvis saw Anna Sage’s distinctive orange dress—the means by which they agreed to identify her, and thus, Dillinger—among the crowd. He signaled to his agents and the police to move in. Dillinger stepped off the curb, just before the alley that ran alongside the theater. Alerted by something, he suddenly stopped and whirled around, apparently reaching for a gun hidden beneath his coat. The agents opened fire. Three bullets struck him. Dillinger staggered a few steps then fell to the pavement dead. There are stories of people seeing a shadowy figure of a man running on the sidewalk, or heading for the alley. He runs, then staggers, then falls and disappears, almost as if reenacting the shooting over and over again. 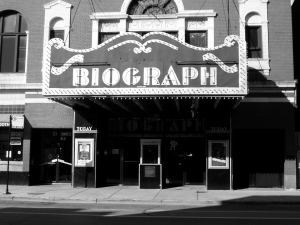 There are some who say the man killed at the Biograph Theater that night was not really John Dillinger, but that the FBI, embarrassed by the Little Bohemia debacle, could not admit yet another mistake and so covered up the truth. We may never know the truth, but what we do know is that a man was shot and killed that night and that his ghost relives that agony still. In his book Ghosthunting Illinois, John Kachuba explores the scariest spots in the Prairie State. 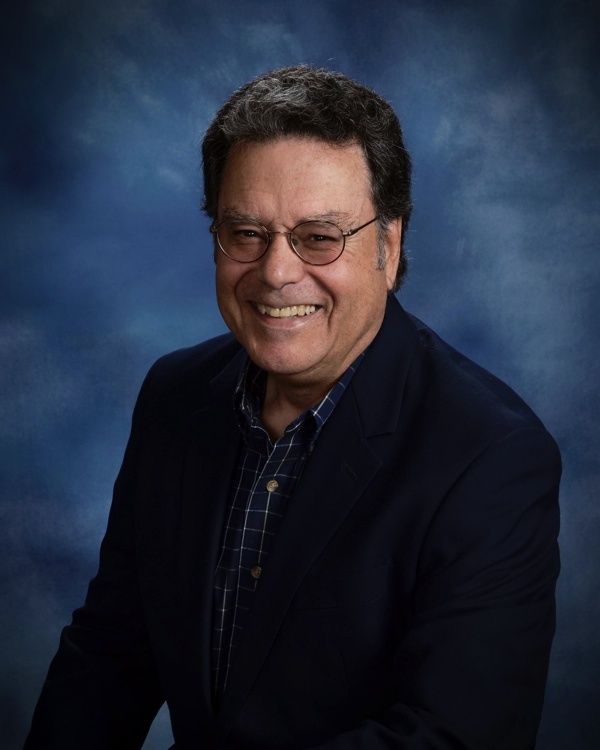 He visited thirty-two legendary haunted places, all of which are open to the public – so you can test your own ghosthunting skills, if you dare.